Never Dull works like a charm but keep it off painted surfaces. 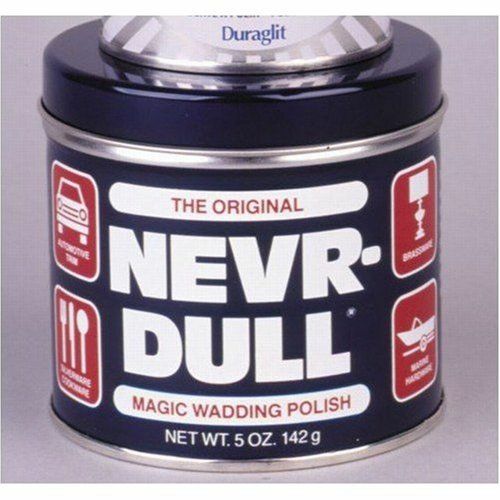 I used to use this product to brighten up the 100 gal aluminum fuel tanks on my '87 Freightliner back in the day. Gave me something to do when I was sitting in truck stops waiting for a haul-back. My Pipewerx can is satin black, there was a reason behind choosing it. this harpic x10 stuff..is it the only bleachy thing that works? tried to get some today but at 2 supermarkets they didn't have it.I will only using it on a small bit of my exhaust pipe. I've used the Harpic cleaner a few times and it works well. with a soft brush and wash it off quickly. Remember that the headers are made quite thin. Every time you use a corrosive cleaner on them, they will get a little bit thinner. Me too. Used cleaner once. Now I just give them a quick brush during the semi-annual wash to get the chunky bits off.